We love having weddings or other special events at the hall. 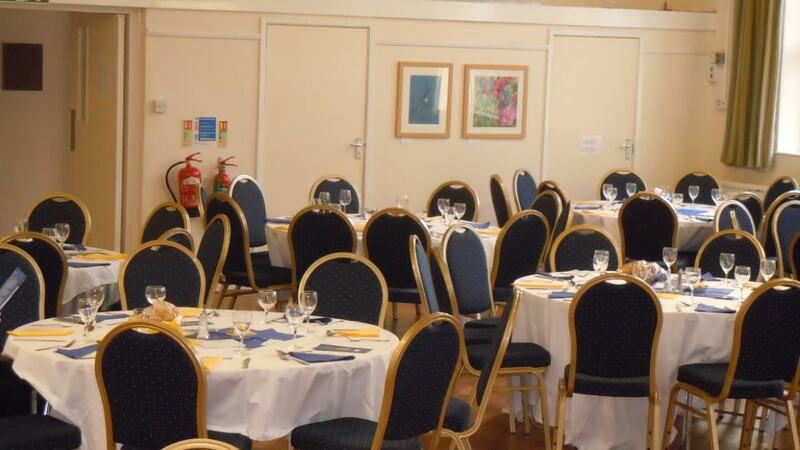 Our purpose is to provide a community venue and we enjoy seeing the hall in use - and a wedding uses it to the full. Our Conditions of Hire apply to all events, but some are of more relevance on special events. We have a "Clean and Clear" policy, that is we give you the hall in a clean and clear state and we ask you to return it to us in the same state, ready for the next hirer. This means that all hirers need to build in some time at the start of the hire period to set up the hall as they want it, and then some time at the end to restore the hall to its original state. Our licence demands that service of alcohol stops at 11pm, and the hall be clear by midnight, so the music must also stop at 11pm. It's the same for all events but more onerous for special events. Other halls may offer you the option of coming in the following morning to finish clearing up. We can't do that in Lisvane, because the hall is used as a church on Sundays and the church team are in early in the morning. We have crockery, cutlery and glassware for a large number of guests, but not everything matches. So, all the crockery is white but the dinner plates, side plates, and dessert bowls are of various shapes and sizes. the same is true of the cutlery. We can give your guests a knife, fork and spoon. They are all stainless steel but of varying patterns. A wedding can generate an enormous amount of rubbish to be cleared away. Please make sure that your clear-up team are well-equipped with bin bags, and have sufficient car capacity to remove them all at the end.